Montgomery Gentry This Weekend At Busch Garden's Giveaway Tomorrow! Montgomery Gentry This Weekend At Busch Garden&apos;s Giveaway Tomorrow! Hey folks! Jerm here with one of the more awesome updates on Tampa Bay area events that we will have coming up! Montgomery Gentry kicks off the exciting concert lineup for 2011’s Bands, Brew and BBQ at Busch Gardens Tampa Bay on Sunday, Feb. 13. This year, Busch Gardens introduces the Festival Beer Garden with more than 50 specialty and craft beers. Guests wanting unlimited access to all 14 beer tents can purchase a Beer Festival Wristband for $25, which includes a five-ounce souvenir pilsner to use for unlimited sampling. The Festival Beer Garden opens at noon each day of the festival. Pass members can purchase two wristbands for $40. 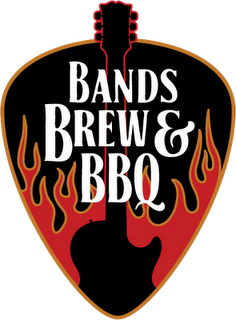 Kick your experience up a notch by purchasing the Bands, Brew and BBQ VIP Ticket to reserve the best seat in the house for your favorite acts. For only $27.95 guests get priority seating at center stage and a meal is included. Now of course since us and the folks over at Busch Gardens are so darn awesome, we will be doing a giveaway tomorrow for tickets on Facebook and Twitter, so you better be paying close attention! You&apos;ll be playing not only for two passes to the event, but two actual Montgomery Gentry Meet and greet passes! Pretty awesome huh! I know this sounds like too much excitement to pack into one day, so make sure you experience all this event has to offer with a 2011 Fun Card, so you can pay for a day and play all year! Sounds awesome right! Well if you want a chance to go, I suggest you check us out tomorrow to play along! That&apos;s it for now folks but stay tuned in for more updates on things to do in Tampa Bay!